I’m a big fan of lesson planning. I know, I know, there are many people out there who do not enjoy the planning process, and many balk at it. I find that planning is a key component of having a successful year and combating that malaise we get when the excitement of new curriculum wears off. It helps to ensure that your child is having all of her or his educational needs met. The best part of planning: You can always change things if they’re not working out. After a couple of years, you’ll have a good idea of what works for your family and what does not work for your family. Here is how I plan my homeschooling year. Every state varies a little bit in what they expect for each grade level. I know, it’s super-annoying to me, too. It’s one of the reasons I think a standardized list of standards is important (say that five times fast). The reason I start my planning by looking at and noting standards is I want to guard against holes in my kids’ knowledge. It’s also important to know where children “should” be at for their grade level – just in case anything happens and I have to send my kids into a traditional school setting. I live in Kansas, and a lot of the standards are a little more behind other state standards, so I also pull up California, Pennsylvania, and New York. I know. It seems like a lot of work. A lot of the standards overlap. But some standards do not, and some topics in science and history, in particular, have radically different state standards in Kansas from the standards in Pennsylvania and New York. I also look up the Common Core standards. I know a lot of people thumb their nose at them, but it’s still important to be aware of what the actual language is and what the “Common Core” actually says. Finally, I look up the Core Knowledge standards. 2. I enter those standards into my record-keeping software. I use Homeschool Tracker. I do have some qualms about using it, but I’ve also found that it’s the best for what I want to track and for how my mind works. 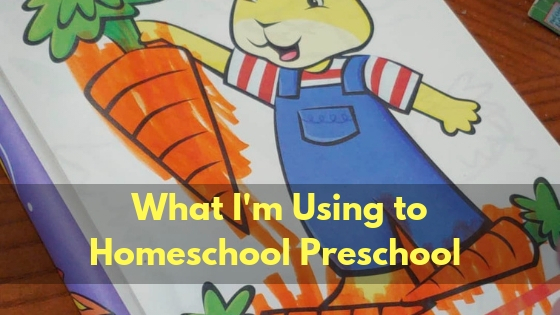 I’ll do a post soon about different types of homeschool planning programs. This is such a tedious step, but if you use a program that allows you to enter standards in, you’ll be able to create assignments and pull in the standards. When the assignment is completed, it marks that that skill has been worked on. That’s super useful in putting together an end-of-year report and portfolio. Yes, I live in a state that doesn’t require any of this stuff. I want to know where my kids are at and what they’ve learned. I like being able to print off a report on that. By the time I’m sitting down to plan, I’ve already purchased my curriculum. BUT! When I’m entering in standards, I’ll sometimes find holes that I need to fill. I make a note to find resources for these things so they don’t get skipped. I then search my local library, the Internet, and Amazon to see if I can find resources to make sure that I don’t have significant gaps in the education my kids are receiving. Oh, and sometimes, I find that a field trip or an outside class will do just what I need it to do. I don’t want to be glued to my computer while teaching. It’s too tempting to go into Facebook world or trying-to-get-things-done land. So, I created a notebook for each child. At the front, I have a list of the courses we’re studying, then a list of resources with abbreviations I’ll use. At the back, I paper clip off some pages so I can write down the titles of any books we read so I can add those to the record-keeping software. Each day, I’ll write what I want to accomplish & any extra we do. When I’m planning the next year, I have a more realistic picture of what my child does in a single day and a single week. This helps me to better plan for that child. I highlight what was planned ahead and leave the extra that was done alone. If we don’t finish what was planned, I put a small dot next to it and carry it into the next day. This goes without saying. Sort resources by course. Kansas asks for 186 days and not less than 6 hours per day for grades 1-11. Since we’re doing Kindergarten and Preschool this year, I don’t need to worry about so much, but I do try to schedule out at least 186 days just so we’re in the habit. I select one course resource to be the main resource by which I outline the entire course. Other resources then become the supplemental resources. I go through and ensure that everything matches up. This means some jumping around in some resource materials, but it also makes for much easier scheduling. I put this outline into a Word document. 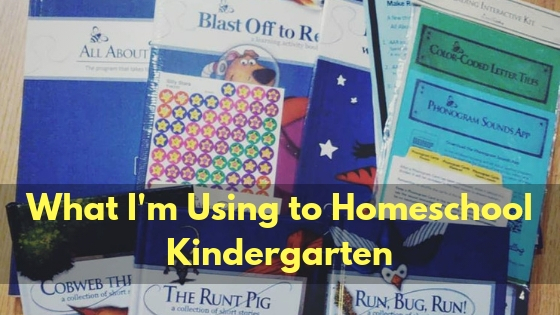 I enter in my lesson plans into Homeschool Tracker. I used to plan out the whole year at once. Now I only do that if I’m absolutely certain that a curriculum works for us. Otherwise, I enter the lesson plans for the next month. That way, if something’s not working for our family, I didn’t spend a lot of time entering stuff from a resource we won’t continue to use. Also, a month’s time gives me a good idea of how fast/slow we’re going to move through the material I have planned, so I can make adjustments for the next month. 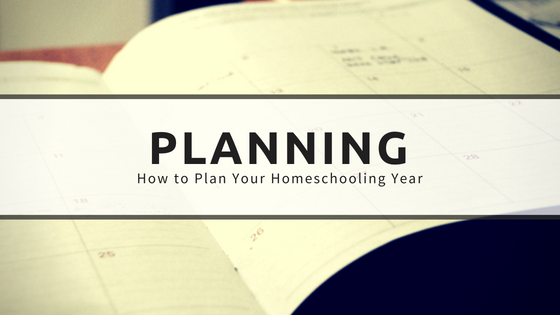 How do you plan out your homeschooling year? Share your thoughts in the comments. I’m always looking for ways to tweak my system!